Mehendi or Henna as it is referred to in the West forms an integral part of a Bride’s Look, irrespective of which religion or geographical region she belongs to! Mehendi in Hindi, Henna in English, Maruthaani in Tamil. Originally limited to just the palms and arms, these days it has turned into Body Art with designs done on the Legs, Upper Back etc. On Weddings, Religious Fasts, Deepawali & other festivals. Made of dried henna leaves, tea/coffee & sometimes essential oils. The use of this art dates back to pre-historic times. The Mehendi paste is said to have healing properties. It calms the nerves and keeps the body cool. Popular Belief: The darker the colour of the Mehendi, the better the Conjugal Bliss between the Couple. Applying the Mehendi is now an important and much looked forward to pre-wedding ceremony with theme parties, DJ ‘s etc thrown-in. 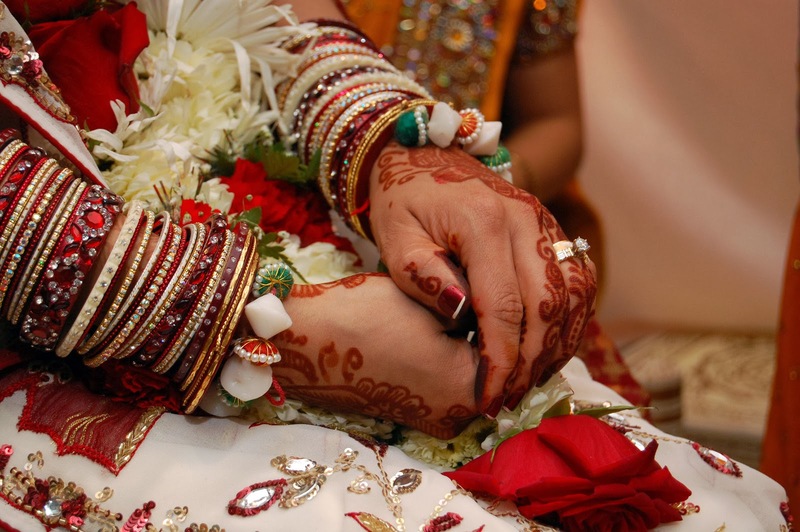 Most Brides have their Groom’s Name in the design and he would have to find his name before the “Suhaag Raat”!